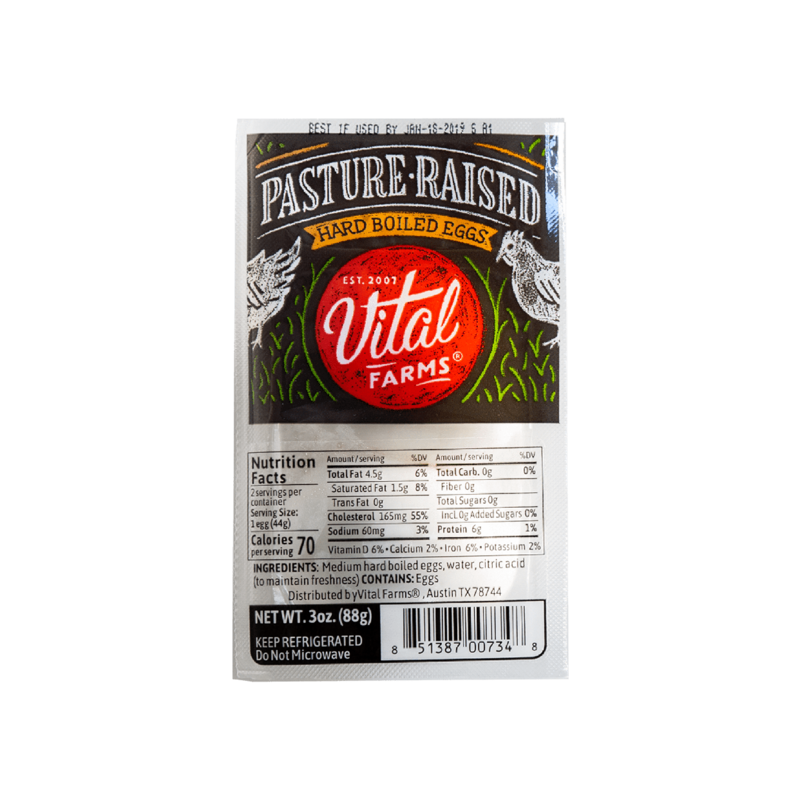 Every Vital Farms hen gets to roam over 108 square feet of open pasture. Maybe that's why they simply taste better. medium hard boiled egg, water, citric acid .